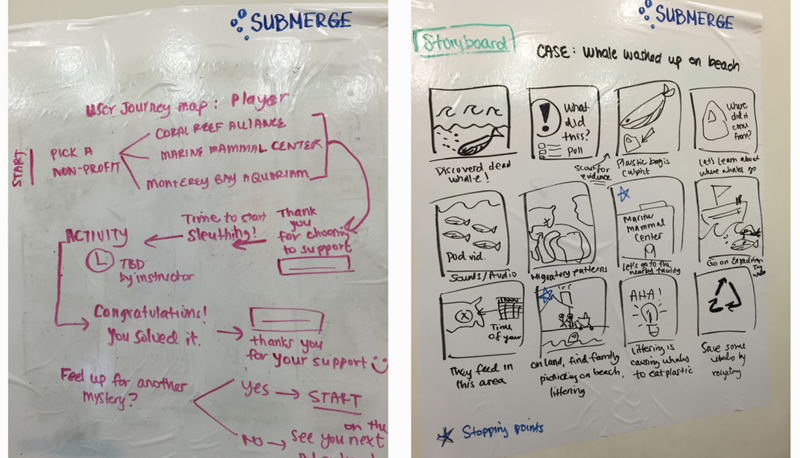 Conceptualized at Startup Weekend Education Oakland, SubMerge addressed the need for an engaging classroom supplement that fostered a different dynamic exchange between teacher and students. Having been involved with the California Academy of Sciences for 5 years, it has given me the opportunity to dive with whales, dance with spiders, and play with penguins. Unfortunately few students have the same innovative, interactive learning environment in their classrooms. 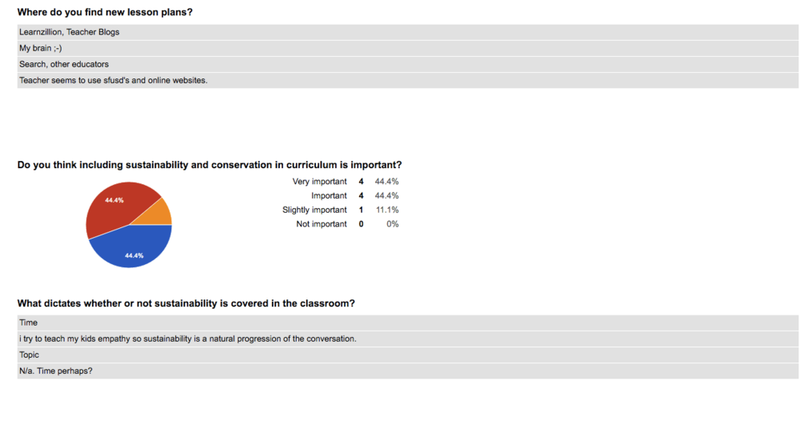 We learned from a user interview that kids were not satisfied with lectures, readings, and videos. They found learning more exciting through games. Next Generation Science Common Core Standards. We went out to Lake Merritt to gather more user insights on the current state of science education. We interviewed several teachers and students. 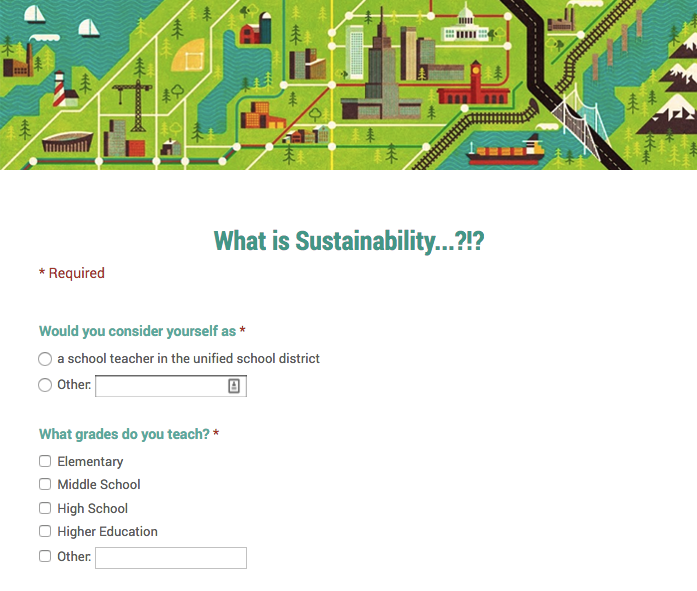 Teachers expressed that sustainability was a topic necessary in the curriculum and they sometimes felt there was not enough creative freedom in teaching new content. Students shared that subjects such as history and science were often taught using videos as supplements and video games were wildly popular amongst their peers as a learning tool. envisioned for our first prototype. It was important to have a narrative that concluded with a takeaway message. Though we didn't get to build out the entire story, I made sure to illustrate it in the storyboard. Throughout the weekend, we had mentorships from a variety of professionals who gave us tips on pitching, how to consider our audiences and stakeholders, and strategies to monetize. Our incentive to play was to encourage students to have power over which non-profit was to gain if they completed a mystery case successfully. We were aiming to partner with corporations such as B.P. in order to get good press for them seeing as they were involved with a couple run ins with environmental issues. Highlighting sanctuaries such as the Marine Mammal Center allowed for more exposure and the opportunity for students to spread the word about how institutions who dedicate themselves to marine protection are out there and available to visit.